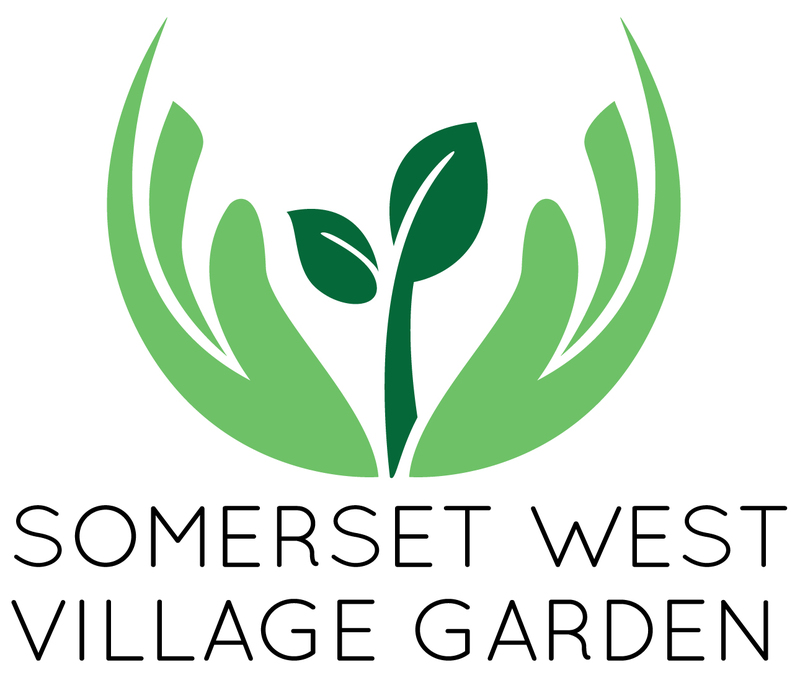 By encouraging the homeless to get involved with the Somerset West Village Garden (SWVG) and other projects run by the Helderberg Street People’s Centre (HSPC), they are offered a “hand up” rather than a “handout”, with access to nutrition, care and vital resources. Volunteers from the Helderberg Street People’s Centre work in the garden in exchange for tokens – one token is earned for each hour worked. Back at the Helderberg Street People’s Centre, tokens can be exchanged for clothing, a hot shower and a wholesome meal, with twenty tokens earning them an ID. Street people are one of society’s most vulnerable groups – they’re usually people who have lost their way and their dignity. 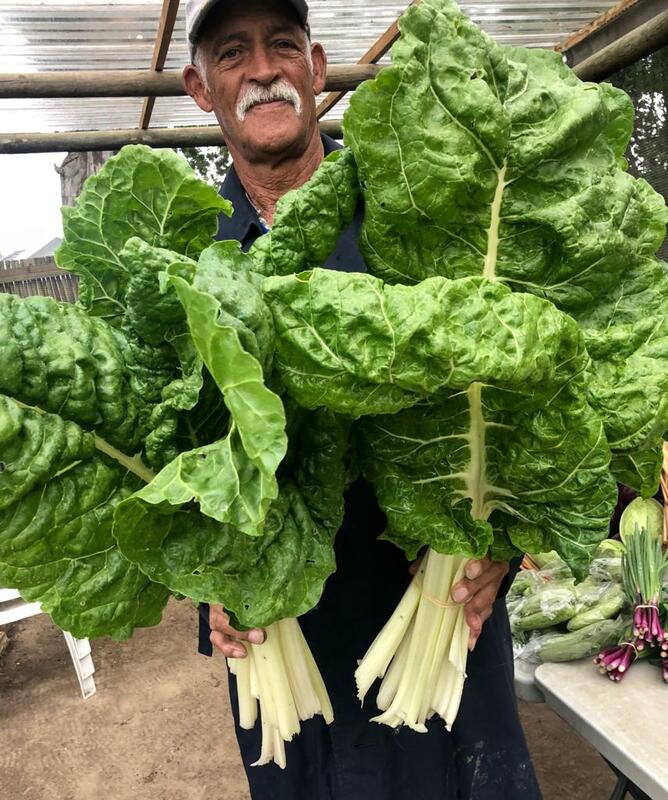 In addition to getting their basic needs met, the volunteers are also trained in sustainable organic vegetable production, which improves their self-sufficiency and employment prospects in the farming and gardening sectors, and helps to restore their dignity. We have up to 20 volunteers working in the garden each day, a number that has steadily increased since inception. For many of our volunteers, it is a challenge to fit into a regular working environment, with financial, administrative and bureaucratic obstacles to navigate, as well as their own personal psychological and educational challenges to overcome. It is incredibly rewarding to take stock of each success, big and small. Brian retired from his job as the janitor and handyman at St Paul’s Catholic Church two years ago. We have managed to find Brian accommodation with the Helderberg Society for the Aged’s where he has settled down very well. He says that after five years of sleeping on the floor in a relative’s home he is so happy to have his own space with a comfortable bed and a roof over his head at night. Hennie found himself on the streets after he lost his job six months ago. He built our vine baskets and enjoys building the structures for growing the beans. Oliver spent 18 months in the garden using the plant expertise that he learnt from his father while growing up. He is a master compost maker and helped with the daily running of the garden. Oliver has left us to concentrate on his ethnic clothing business, Ollie’s Clothes. Look out for him at various markets in Somerset West and Cape Town this summer. Patrick has volunteered at the garden for the past year. He has managed to find a weekly gardening job, which meant that he could move out of the Somerset West Night Shelter and into his own rented space. He is a good worker and we are confident that he will find additional employment soon. Six of our volunteers were offered a three-month contract in the construction industry, with the possibility of further employment. They were required to possess a SARS number, a medical clearance certificate and an ID – time-consuming processes at the best of times, and especially difficult when one’s access to information and finances is hindered. Thankfully, Vanessa Willis-Schoeman from the Helderberg Street People's Centre spent time with the gardeners helping to get them set up for the job.